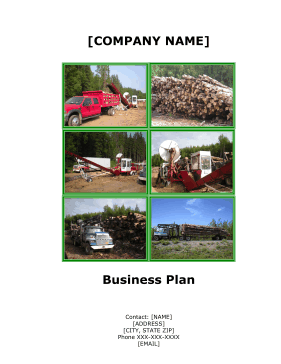 People specializing in firewood and land clearing services can plan and organize their internal operations with this free, printable business plan. [COMPANY NAME] is a [STATE] owned family run business. [COMPANY NAME] is a firewood and land clearing business. The Company does timber harvesting and re-forestation. The Company also sells house log, saw logs and provides cut and split firewood as an alternative heat source. [COMPANY NAME] was established on August 20, 2000 and is headquartered in [CITY], [STATE]. The Company prides itself in standing behind their products and services. [COMPANY NAME] is seeking $600,000 in grant funding for the expansion of this Business. The products that [COMPANY NAME] provides are cut and split firewood, bundled firewood, house logs and saw logs. [COMPANY NAME] offers firewood by the cord, in log length and also wholesale bundled firewood. A cord of firewood measures 128 cubic feet. [COMPANY NAME] also provides trucking and delivery for all mentioned products. [COMPANY NAME] has the ability to take on land clearing and logging projects of any size in conjunction with Statewide Clearing Company. The Company specializes in right of way clearing, site development, pipeline right of ways, and stump grinding. The Company services land clearing and logging projects all over [STATE]. Whether it be one hundred acres or one thousand acres, [COMPANY NAME] has the ability and the experience to clear land quickly and efficiently. Being reputable and doing what is promised like [COMPANY NAME] does is an accomplishment and very few firewood sales companies have ever been reputable or more successful. Based on the detailed financial projections, [COMPANY NAME] future sales for 2010, 2011 and 2012 are expected to be $181,341, $500,000 and $505,000, respectively. [COMPANY NAME] believes in customer service first and foremost. The Company stands by the products that it sells and does what is promised to its customers. The Company also believes that firewood is and will always be an alternative renewable energy source, especially since the majority of [STATE] residents have an alternative energy/ heat source as a backup. The Company's clientele will be confident that it will always supply them with wood product without interruption in service or product. [COMPANY NAME] will help the community by hiring employees locally, which will help enhance the lives of families in [STATE].